The use of technology on the trail is a controversial topic that can generate heated conversations over the pros and cons of different technology as well as the impact on the hiking experience in general. A prime example was a recent Facebook survey we ran on whether or not hikers use Personal Locator Beacons (PLBs). While I’ll discuss the results of this survey in this article the passionate debate that went on in the background surprised me with people presenting a variety of views on the topic. This article will provide a basic overview of what PLBs are, how they work and how and when to use them. 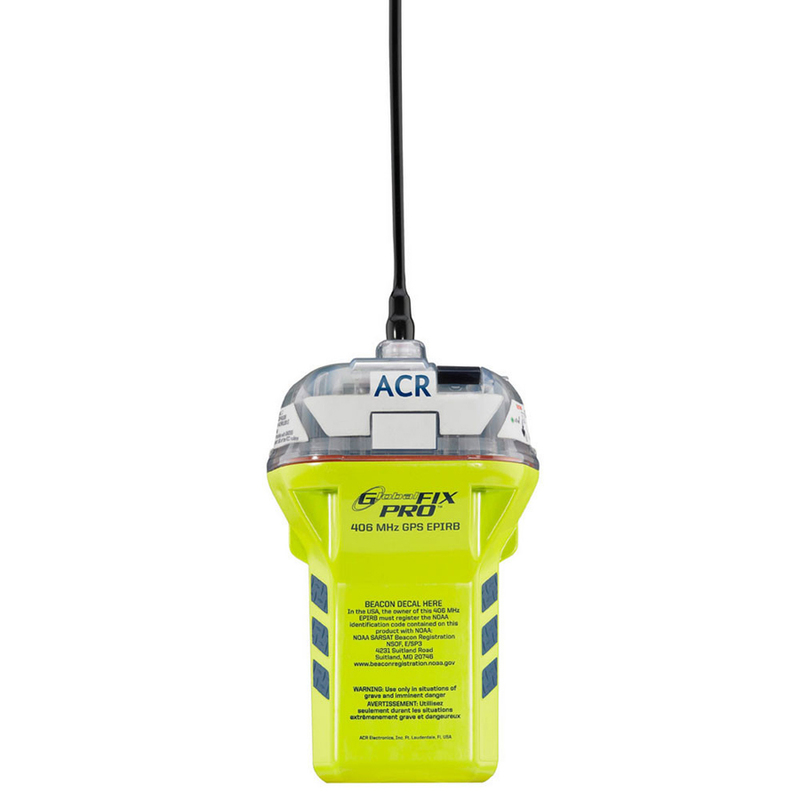 A distress beacon is an electronic device that, when activated in a life threatening situation, assists rescue authorities in their search to locate those in distress. From a hiking perspective PLBs are relatively lightweight and small, and will fit into your pocket or clip to your pack/belt very easily. When activated, beacons transmit a signal that can be detected worldwide by the international satellite system, Cospas-Sarsat. The signal is detected by a Rescue Coordination Centre to coordinate a response. Your beacon can be activated from anywhere on the Earth’s surface, regardless of whether you were travelling by air, land or sea. Satellites cannot detect beacons through mountains, trees or buildings. If your beacon has not been deployed correctly with the aerial vertical in a clear open area or you are in a valley, geostationary (GEO) satellites are unlikely to see you. In these cases, you must wait for polar-orbiting (LEO) satellites to pass overhead, which may take several hours. 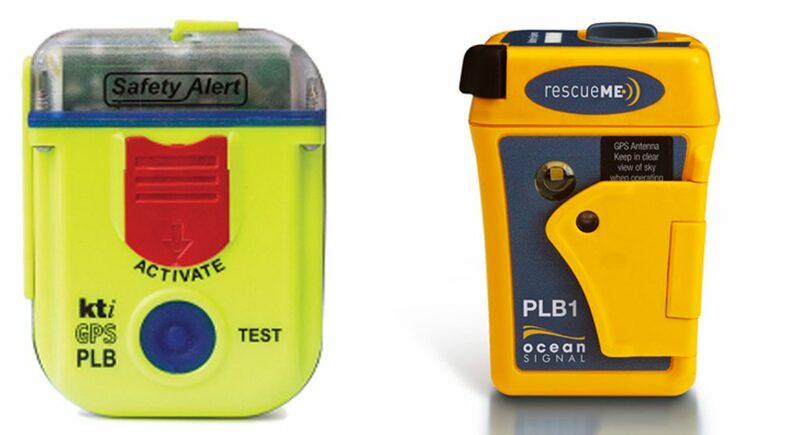 Another important factor, which determines how long your rescue takes, is if you have a Global Positioning System (GPS) beacon or a non-GPS beacon. Beacons manufactured in Australia are GPS beacons. When you purchase a beacon ensure that you thoroughly read the instructions and know how to use it. I do this annually as well as doing a device test to ensure that it still works. I also make sure my hiking partner knows were the beacon is and how to use it. How Long does it take to be Rescued after Activation? The time it takes for rescue personnel to reach you depends on several factors including the weather, terrain, accessibility of your location, and availability of rescue resources at the time of your incident. The more remote the location of the distress incident, the longer the response time. What this means is that while emergency services will get to you as quickly as possible, you or your group will need to manage the emergency situation as best you can until they arrive. When planning your hikes, ensure you have considered all the possible scenarios and have emergency plans in place as best as you can. You should advise AMSA of beacons that have been sold, lost or disposed of. Do not throw away beacons without first disconnecting the battery. Can I take my Beacon Overseas? You can take your beacon overseas. Before doing so, contact your chosen airline for guidance on carrying distress beacons as every airline and airport has different requirements. At the time this article was published, Qantas didn’t need to approve the carrying of PLBs in cabin or in checked luggage. Both Jetstar and Virgin didn’t identify these devices specifically but reverted to the regulations published by the Civil Safety Aviation Authority, which limits the battery size in these devices. Some countries consider PLB carriage and activation illegal on land. 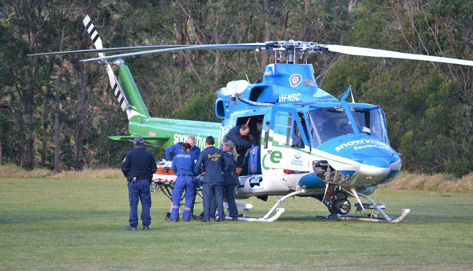 AMSA recommends contacting search and rescue authorities in the country in which you are travelling. When should you carry a Beacon? In a perfect world hikers shouldn’t undertake activities that exceed their skill levels unless they are with someone to provide that skill and knowledge but we know that this happens. What we have no control over is accidents. Being bitten by a snake, tripping and seriously injuring yourself, unexpected medical conditions, are all things for which hiking experience levels can’t compensate. In addition what happens if the experienced group leader is the one who has an issue and all there is to help is a group of inexperienced hikers? PLBs aren’t really one of those pieces of equipment you discuss ad nauseam with your friends while sitting around the fire at night but the beacons produced to meet Australian Standards are all pretty robust, reliable, and lightweight. When travelling alone particularly in areas where you will not see anyone for days at a time or when you are too far away to get to help, a PLB is an extra piece of security. When do you Activate a PLB? As indicated by AMSA, what you as a hiker consider to be a life threatening situation is a personal decision. So what does this mean? There have been many cases around the world where hikers have set off beacons for frivolous reasons. Examples of this have been ‘I was too tired’ or ‘I ran out of food’. My favourite was a cow in central Australia setting a beacon off that had fallen out of a helicopter, go figure! Don’t be frivolous about setting off your beacon but also don’t be a hero. What you need to keep in mind is that while you are being rescue, someone else may be waiting. Think your situation through and how you see it developing. If as an example your situation is getting worse and is unlikely to get better and you can see no other way out, you are best to set off your beacon sooner rather than later. If you’re sick or injured to an extent you can’t rest up then walk out with the first aid and emergency equipment / skills that you have e.g. Extreme environmental factors e.g. bushfire or severe flooding that will put you in immediate danger. These are just some examples. There is potentially no end to what can be considered life threatening. If there are known conditions prior to your trip, work your way through them and identify at what stage you will set off your beacon. What do you do if you set off your Beacon Accidentally? 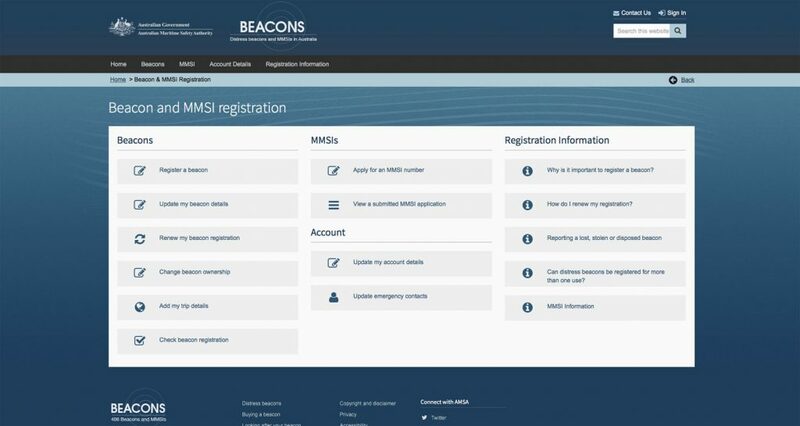 If your beacon is accidentally activated, switch it off immediately and contact AMSA on 1800 641 792 (2018). There is no penalty for accidental activation. The sooner you call the better so as to minimise wasting this valuable resource. 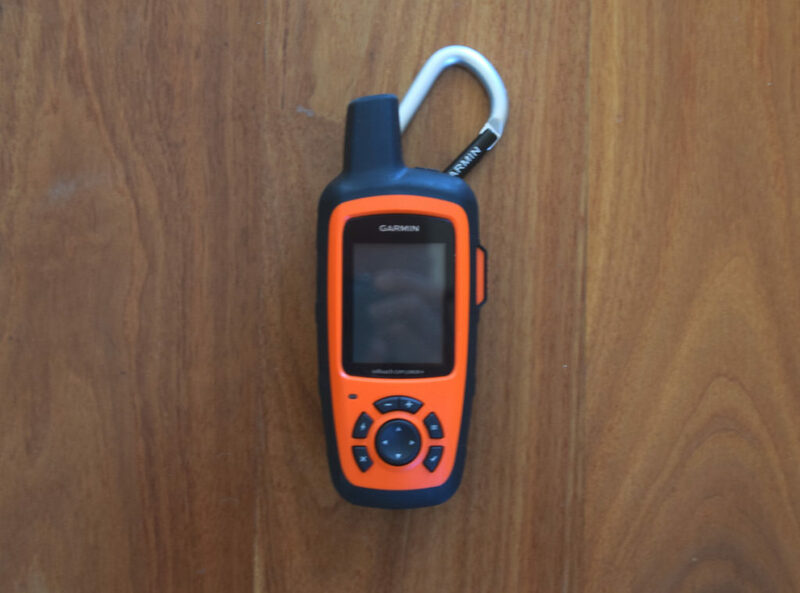 Whether you use a beacon is really a personal choice and will depend on the type of hiking you do and its risk level. While they aren’t the cheapest hiking item to buy, don’t let cost be a determining factor. If you have determined you should be carrying one, splurge out and buy one or if you only need one for specific walks talk to some of the larger hiking organisations who hire them.